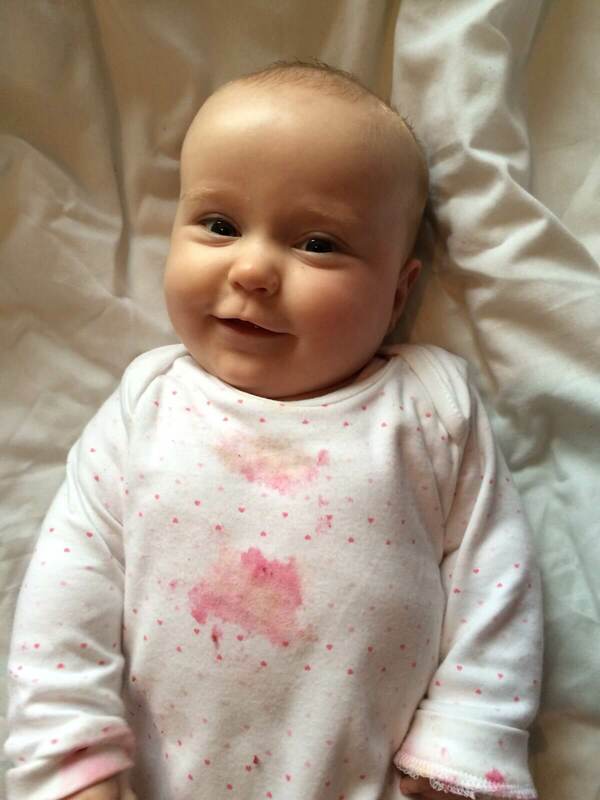 Weaning is messy – lets not be under any illusions here. Even with a giant mat and cover-all bibs there are still sticky hands and even food flung at walls. 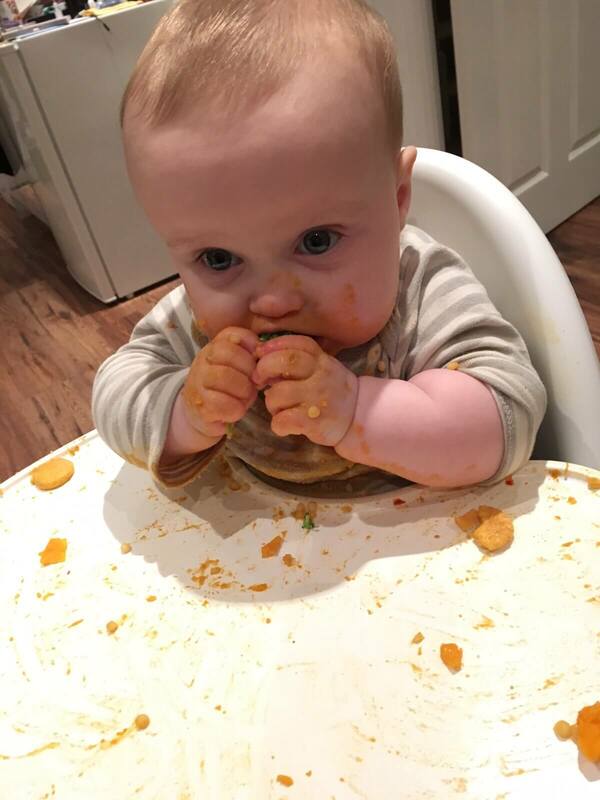 My number 1 piece of advice for anyone embarking on the weaning journey (besides wait until your baby is really ready) is to embrace the mess. 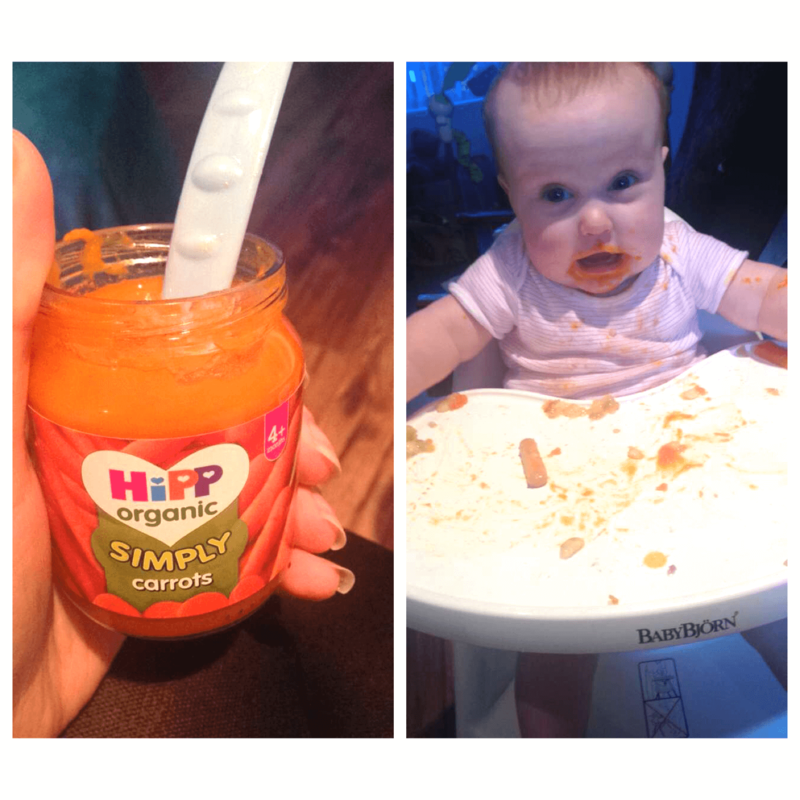 Here is a roundup of my favourite weaning products featuring a weaning budle giveaway at the end – Hopefully this will make your preparations a bit easier if you’re getting reading to start introducing real food to your little human. If you’d like to see how we’re getting started read my post on the start of Luisa’s foodie adventures. The high chair we use with Luisa is this BabyBjorn Highchair . It’s a bit pricy but in my opinion worth its weight in gold! It’s really compact when folded down, easy to clean as part of the tray clips off and there are no straps to worry about. It’s the perfect high chair for babyled weaning or finger food in general as it takes a push of a button to slide the tray forward and make enough space to lift your baby out if they are choking. With a more traditional high chair you’d have to wrestle with the harness as well. Another thing I love about this high chair is that it’s table height so your baby can feel more involved in family meal time and not be up on a throne above you all. (although Queen Luisa might like that…) The last feature that I find useful is the ledge for little feet to perch on – I just think it’s cute! Also it does help to catch errant rice cakes. If you’re on a tighter budget another high chair we’ve tried out in cafes and baby clubs is the Ikea ANTILOP Highchair. This is also really easy to clean, has a good-sized tray and it a total bargain. In terms of storage you need to pop the legs out to put it away so it’s not ideal for everyday in my opinion but perfect for the grandparents house! Another thing to bear in mind is that when baby is still small you’ll need an insert to prop them up a bit more – Luisa is nearly 9 months and still need a strategically placed scarf to make her comfy and supported. 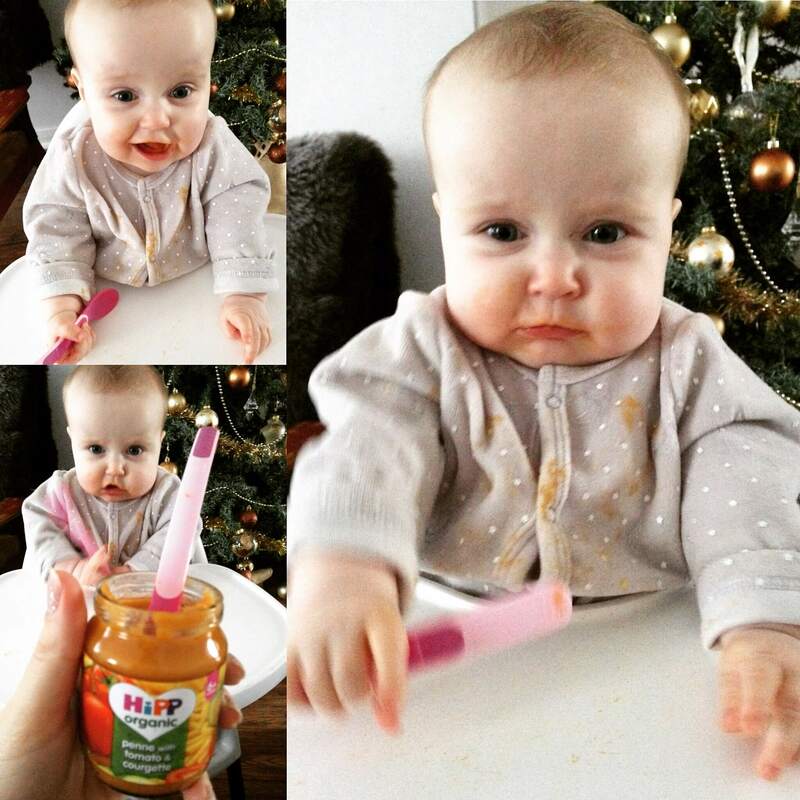 We’ve tried a lot of different spoons which is funny considering L doesn’t like to be fed. She will accept help when its something she loves though – like mushroom soup! Not the creamy kind mind you- the one that’s all about the shroom. When we’re out & about I breathe a sigh of relief when it’s on the menu as I know she’ll be happy. My favourite spoons are MAM Feeding Spoons as they come in a two pack with an ‘on-the-go’ cover. This stops them getting fluffy in my baby bag and the fact that there’s two means Luisa can have one to bang on the table. They come in a few different colours and the silicone head is great for a teething baby to chew on. One thing I love about the shorted spoon is that the handle is textured which makes it easier for little hands to grasp. I’ve recently started to introduce a plate when giving Luisa something to eat in the hope that she’ll learn not to flip it onto the floor sooner rather than later. I really like the OXO Tot Divided Plate because the different sections make it easy to give L a variety of options and help her to see that she has multiple choices. It also keeps the food closer to her and the edges make it easier for her to pick up a piece as opposed to having things slide off the high chair as she tries to grab them. In terms of cups, again we have a few. I’ve not really given L very many opportunities to try using them as she’s still breastfed she knows how and when to ask for a drink! Recently I’ve started to introduce a Babycup to give her an opportunity to learn a new skill. So far it’s resulted in a few wet bibs but babies are so clever I’m sure she’ll crack it in no time given the opportunity. I’m keen to have her master the babycup so that we don’t have any problems with her teeth in the future than can be caused by other styles of cup – particularly those with a valve. Another gadget Luisa is getting to grips with is the OXO Tot Flip Top Snack Cup. The whole idea of it is to keep the snacks contained so your little one can put their hand in and pick one out but when they throw the whole thing on the floor they haven’t lost the lot. We’ve taught Luisa how to use this by putting pasta or soft fruits inside with some poking out. When she pulls a piece out I arrange another one to be poking out and so on until after a while she figured the whole thing out for herself. I think this is something we’ll keep using well into the toddler years – especially on the go. Something we used a lot at the start of L’s weaning and still reach for now is the Munchkin Fresh Soft Food Feeder. It’s perfect for when your baby hasn’t mastered how to hold on to slippery fruits or if you’re worried about them choking. I’ve also put ice cubes in it before to help with teething pain. As I said before I really thing you need to embrace the mess or you’ll just end up frustrated and covered in mashed banana. There are a lot of lovely highchair mats available to protect your floor but I honestly think you’re best off either buying a piece of oil cloth, a shower curtain or just letting the floor get dirty and mopping up when you have a chance. We’re lucky that our new house has laminate throughout the kitchen and living room so once L has finished eating I just pick up the bigger pieces of debris and then mop when I can be bothered! When L is having something more than a dry snack I generally strip her down to her vest and just let her get grubby. It’s so much easier to just pop her in the bath afterwards and then she’s burnt off some energy and is ready for a nap (mummy win) There are lots of coverall bibs on the market but the ones i’ve tried just get in her way. Ooh love the Munchkin soft food holder- I’ll definitely get one of these for A! Thanks for the info on the Ikea highchair, we were just going to go with that one but I didn’t realise it wasn’t very supportive. Think I’ll start my search again!